… I had a dream a few nights back: In one small room about 12 feet square sits Meher Baba against the wall in a chair, with Upasni Maharaj in a chair against the wall on His right, and myself on the floor, against the wall on Baba’s left. There is a door between where Baba is sitting and where I am sitting. Maharaj is very very old, but healthy still. Baba is old. In the room on a table is a case which holds three large books, all the same size, painted black, and dated with white letters 1892, 1894, 1896 or around those three dates. 1896 I am sure was one of the dates. These three books were closed in a case-holder, also painted black. Baba talks to Maharaj, asking about the laws in India in relation to Maharaj being so old: “Can you work now in India?” and, “Can you marry now in India?” … all questions for Maharaj, which starts a conversation which I was invited by Baba to join in. Maharaj was intense, I was afraid to upset him, even in Baba’s presence. I spoke my heart and mind as best I could. 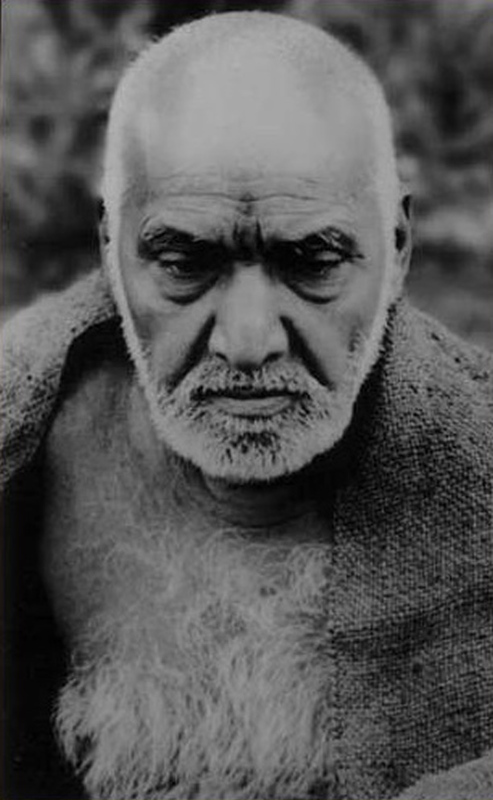 Sadguru Upasni Maharaj of Sakori. As I get up to go out the door between my seat and Baba’s, I notice a small black briefcase with two silver latches to keep it closed. I leave to the next room to find the black box which Baba had ordered me to bring to him. I look all over the room but do not see it anywhere. There is a very small black piece of furniture with two drawers that are pulled out and empty, but it is not a “black box.” I am thinking what to do – does the furniture pass for a box? No. Then in my bedroom in Briarcliffe Acres, in Myrtle Beach, South Carolina, where I am sleeping and dreaming, my telephone rings and wakes me up. I am upset that my telephone kept me from fulfilling Baba’s order in the dream, and I cannot get back into this dream. I am happy to share this all with you dear brother Aloba. May Baba provide you with all that your heart begs for, as He wishes. Jai Baba! Xia: I would be interested to know what the phone call was regarding. Sometimes the dream world crosses into the waking world in rather significant yet nebulous ways. As the “black box” wasn’t immediately apparent, could it be that Baba was actually directing Laurent to pick-up the phone? Wouldn’t that be interesting? Also it occurs to me that a “black box” is synonymous with a recording device and Laurent is devoted to sharing the information that has been preserved of Avatar Meher Baba, as a black box might be used. This entry was posted in Avatar Meher Baba and tagged 1896, Ali Akbar Shapurzaman, Aloba, Avatar Meher Baba, Briarcliffe Acres, Hazrat Babajan, India, Myrtle Beach, Shirdi Sai Baba, South Carolina, Upasni Maharaj. Bookmark the permalink. Might you entertain the idea of bringing Baba a black box when next you are in the Samadhi? Who knows what black boxes you may encounter between now and then.